Realistic representation is something that people definitely dig. But sometimes, you need to represent your designs in a different manner. 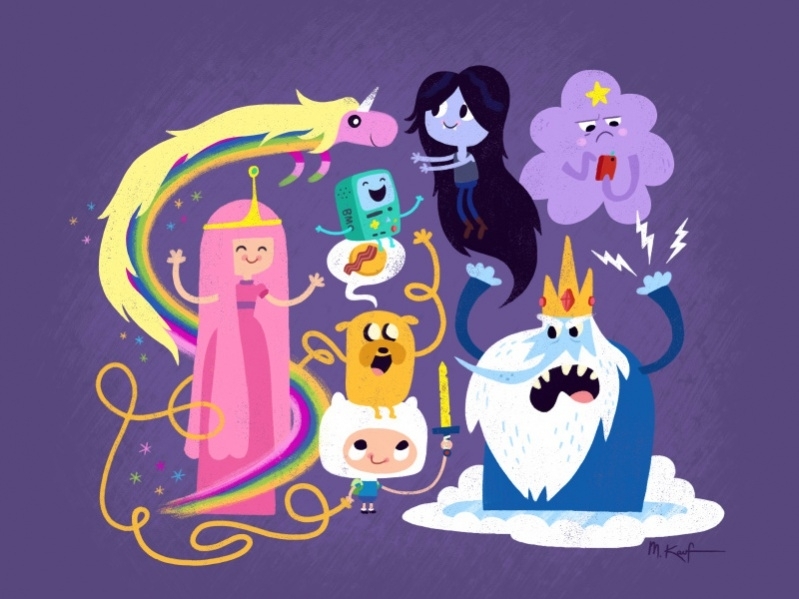 Like you would want to show cartoon elements instead to add to the imagination. 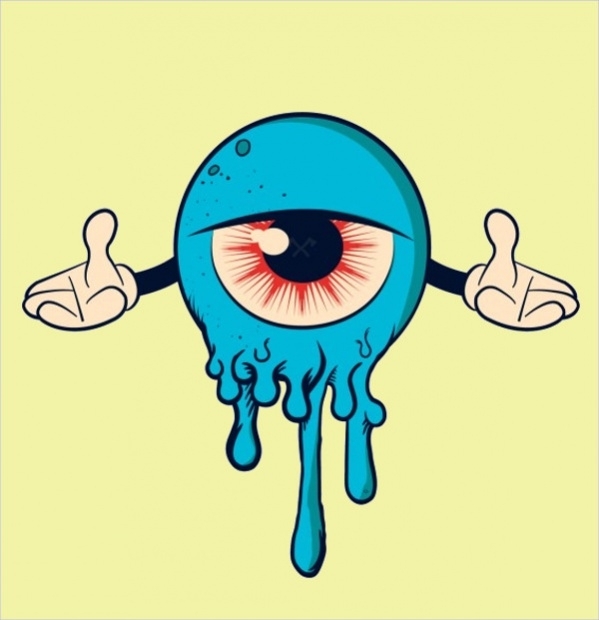 And for all those cases, here is a collection of some free cartoon drawings and illustration cartoons that you can use in your projects as different design elements. Scroll through the following pages to browse through these free items. 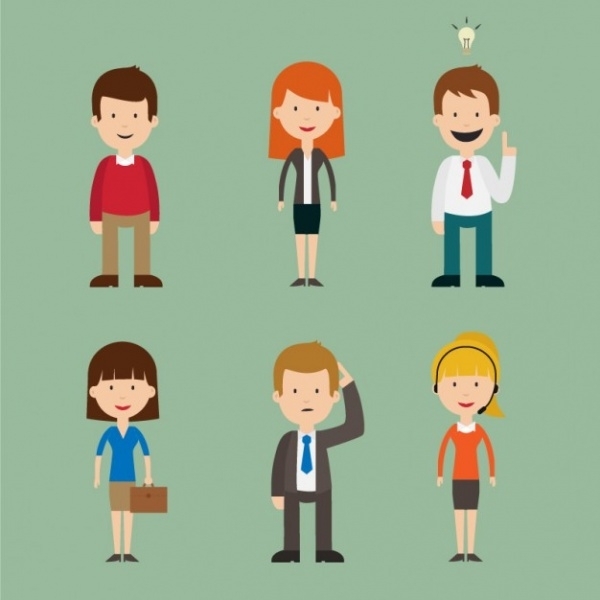 Before we get into other creatures, here is a vector illustration that you can download in high quality for free that represents people as cartoons. Click on the link provided to be able to download the design. 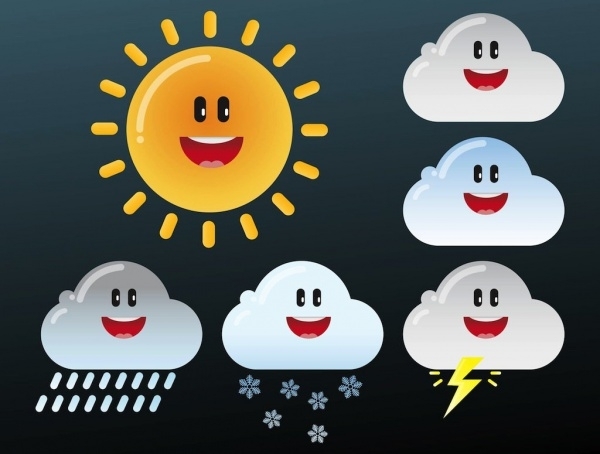 Here is an illustration that contains sun and clouds in animated looks to give you different weather representations. You can download the vector illustration from the given link and use each of the designs separately. 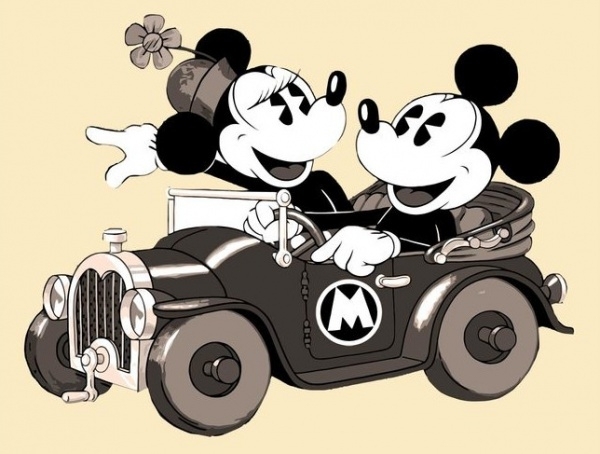 Mickey Mouse is one the most famous cartoon character and here is a vintage design in sepia overlay of Mickey and Minnie riding through the town in their retro car. You can download the vector image from here. Next in line is the superhero. 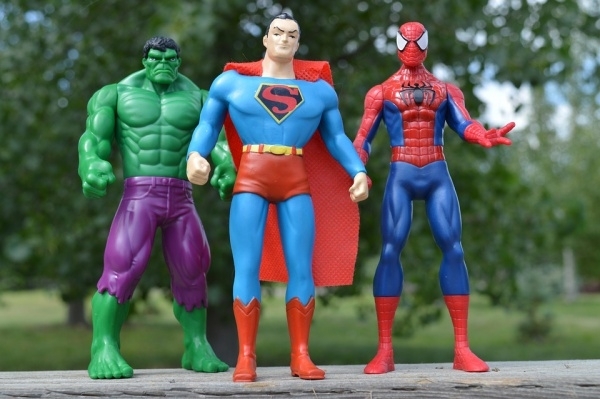 And here are realistic action figures of superheroes like the incredible hulk, spiderman and superman that is available to you as a stock photo. You can do the same with your action figures if you want to use them in your design. Skull has different representation to set different mood. Here is a scary hand drawn skull illustration. 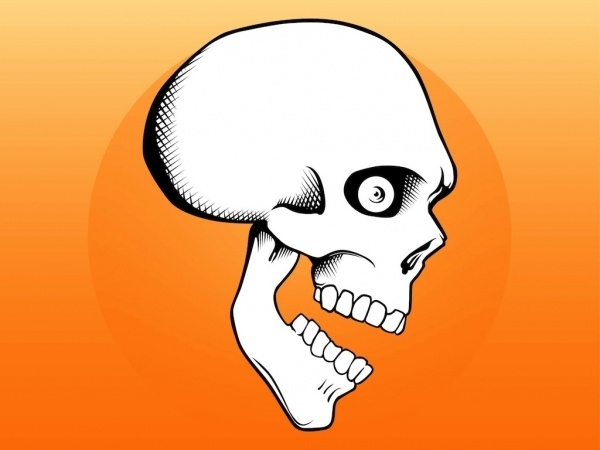 The design for the human skull shows the right profile with an open mouth that will look great on clothes and tattoos. The first animal to make it our list after the humans is this bunny creature that is similar to the one from looney toons show. You can download the happy image of the long eared big bellied cartoon for shirt prints or mascot designs. 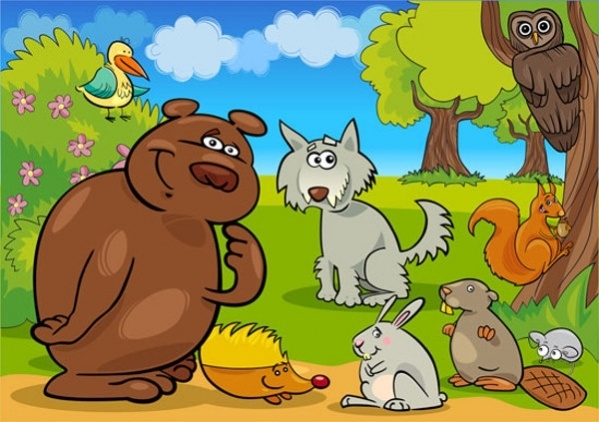 Check out this vector illustration of bunch of cartoon animals that you can download as an editable eps file from the below mentioned link. The design is also available in jpeg format if you want the rasterized image. 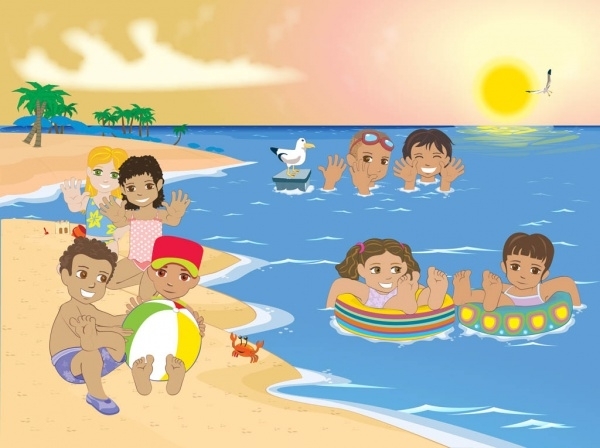 Here is another vector illustration that shows the summer season with kids at the beach. 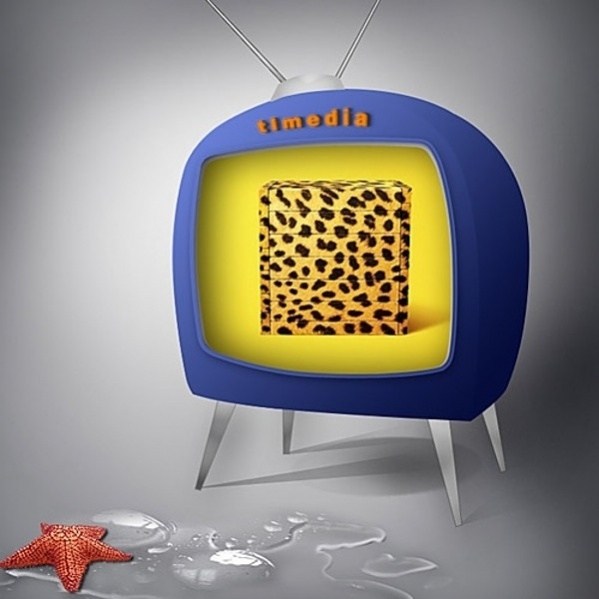 The entire design has a cartoon like appeal to it and you can download this detailed design from here. It is very easy to create different emotions in cartoons as it lets your imagination work better on designs that in reality. Here is a vector illustration that shows funny animated cartoons that you might want to use for your light hearted designs. 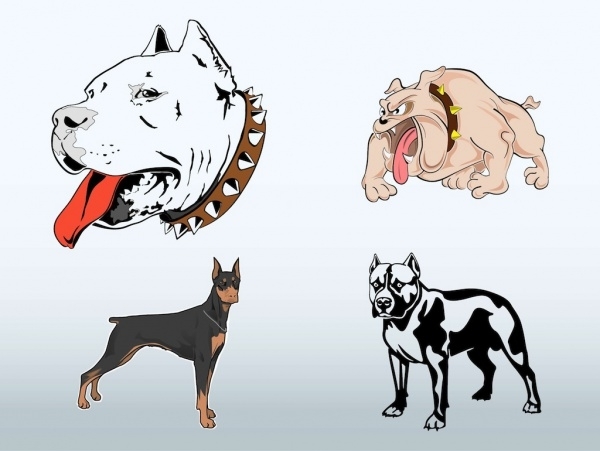 Check out the link provided below to come across this graphic design for a cartoon dog. You can use this design as a reference or find multiple others design for a cartoon dog for your future design project. 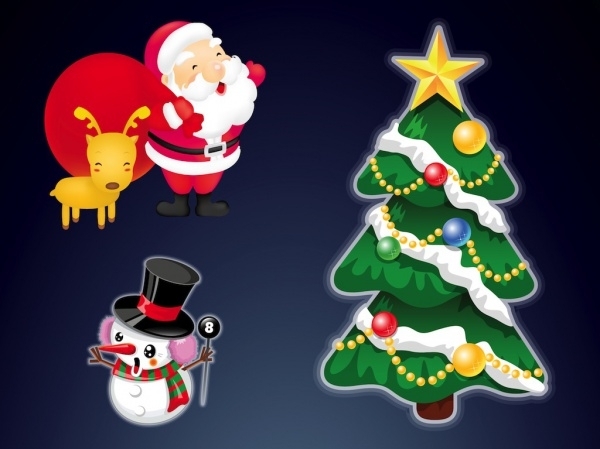 If you want to add cartoon style to your this year holiday season greetings and invitations then here is a cool collection of different elements of Christmas and Ney Year available to you as cartoon illustrations. 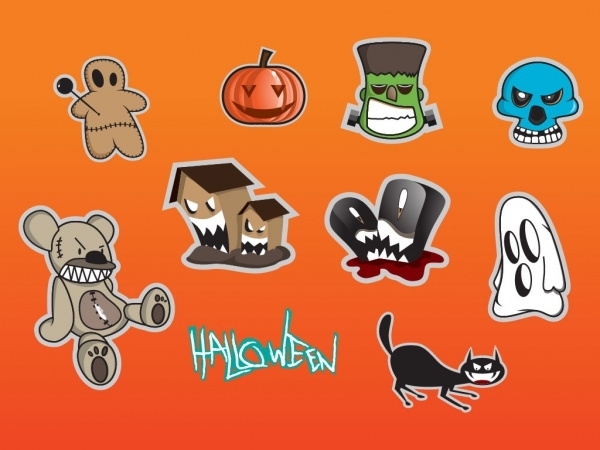 Halloween is just around the corner and a lot of spooky and scary designs can be created using the cartoon touch. And here is a cool example of how to design Halloween cartoons that you can use in yoru design for free. Baribies have been a really common cartoon figure for a long while. 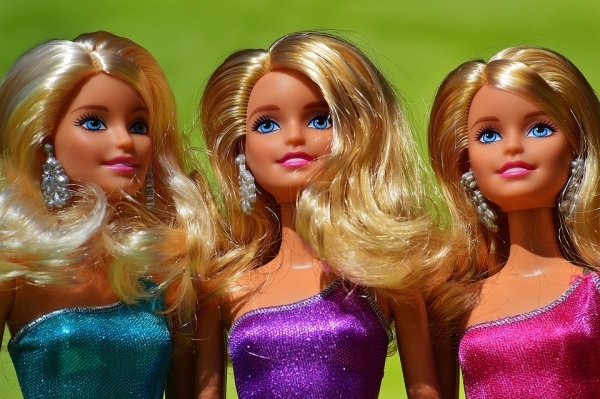 And here is a realistic representation of three of them which is actually an image clicked of these doll figures. 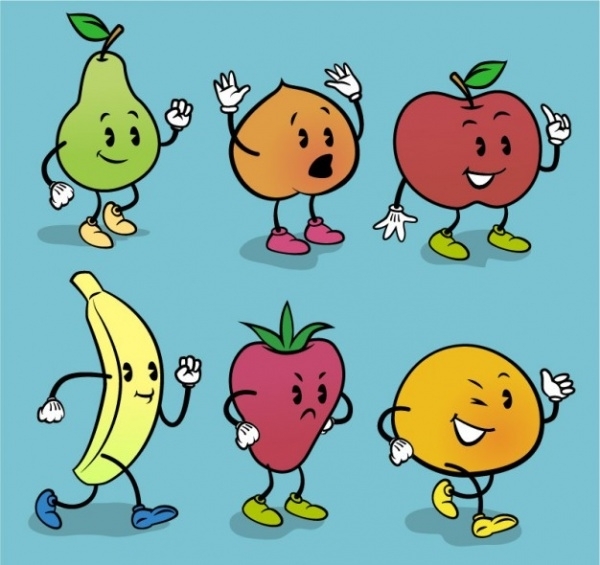 Add animated appeal to your fruits as well using this free stock vector illustration of cartoon fruits. You can make an entire fruit salad of such cartoon fruits for designs oriented for healthy eating habits for kids. Sea animals have been something that has always caught the eyes of cartoon artists. 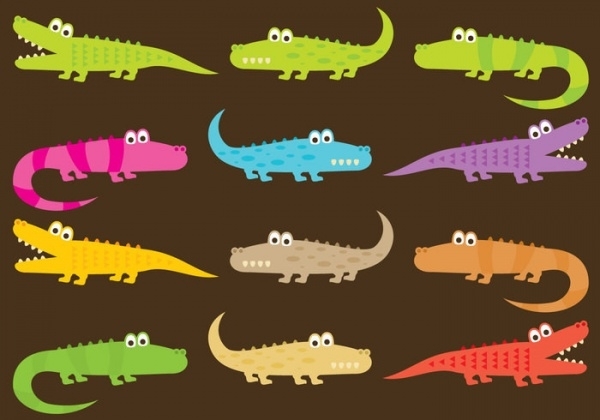 And here is a vector illustration of these deadly creatures in a cute representation that you can download from the given link. 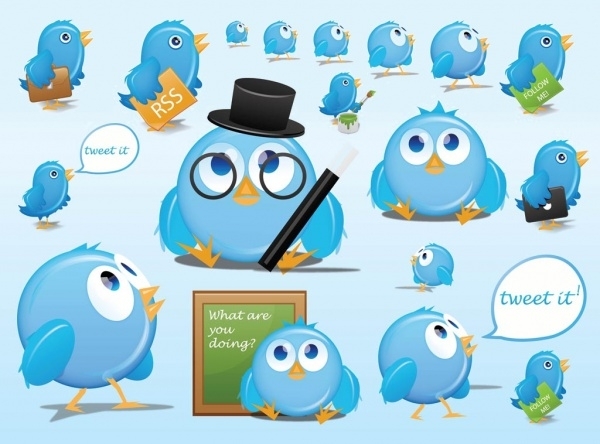 All you have to do to use these free designs is to just download them in your system. Once you have done that, you can either use the free vector or png or jpeg file in your project. With vectors, you can even scale them to different sizes and still retain the design quality of the cartoon that you are going to use. 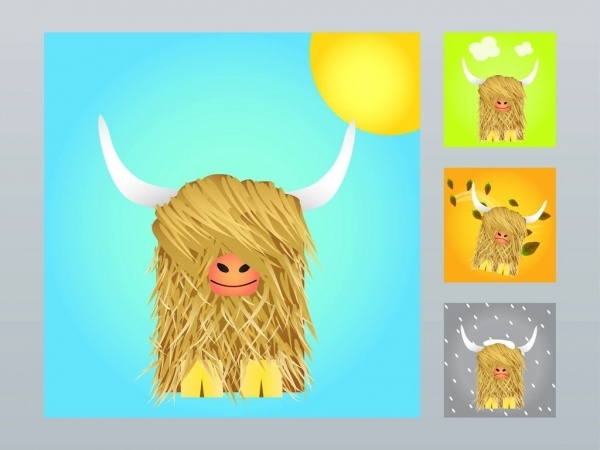 You can even edit the designs to whatever capabilities it lets you to before you place them in your final design, be it for a flyer, for a greeting card or for a party invitation. Just give the credits to the original designer if you can, and you are golden for your upcoming projects. So now you probably know how easily you can get hold of free illustrations like the cartoon ones listed here to use in your projects. You can also search for other refined keywords to get to the compilation of other design elements that you may find useful for your future designs for the client or for personal use.